Intel Corp Chief Executive Brian Krzanich resigned on Thursday after an investigation found he had a consensual relationship with an employee in breach of company policy. The head of the largest US chipmaker is the latest in a line of men in business and politics to lose their jobs or resign over relationships viewed as inappropriate, a phenomenon highlighted by the #MeToo social media movement. 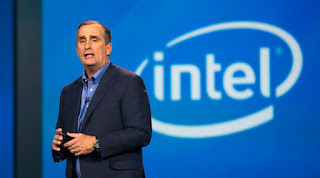 “An ongoing investigation by internal and external counsel has confirmed a violation of Intel's non-fraternization policy, which applies to all managers,” Intel said in a statement, declining to give any further information about the probe. Its shares fell 2.4 per cent. Date : 6/22/2018 07:00:00 μ.μ.